My knowledge base was obtained through strong academic training, business experience, significant tutoring and teaching experience and currently active as a substitute teacher in the middle schools of Palm beach County. I am patient, understanding and teach at the pace of student`s ability to absorb the subject matter. 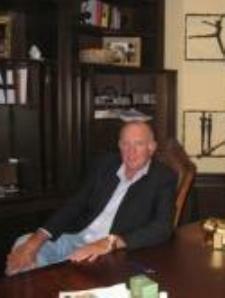 I have 40 years of business experience in management consulting and senior executive positions. In addition, I teach a course on Leadership, Team Building and Business Communications in an MBA Program in the college of business at a major university. I teach a college course in Leadership at the MBA level. It includes a segment on Developing Leadership Skills, which is key to career development. I have served as a mentor to many entry level and middle managers as their careers progressed. I have many years of experience working with financial statements, as well as teaching and tutoring in accounting and finance. I have an MBA from MIT. Included in this program were many marketing courses. I served as the Director of U,S Marketing for the largest accounting/consulting firm in the world. As part of my consulting practice, I advise many clients on their marketing programs. I taught a course on Business Communications for five summers in the MBA program at the College of Business at the State University of New York at Stony Brook. This included Audience Analysis, Speech Preparation, and Speech Presentation. I currently tutor foreign nationals in giving presentations. I was a management consultant for more than 30 years during which time I gave hundreds of presentations and speeches. I specialize in assisting foreign nationals improve their English skills. In the past year I have worked with a South Korean, a Lithuanian, a Colombian, a Swiss national and a Brazilian. I assist students in improving their English speaking capabilities by speaking with them and correcting as we proceed, reviewing with them commonly used expressions, working with them as they make presentations,etc. Each student is evaluated prior to acceptance to insure that i can assist them. Based on this initial evaluation, a specific program is prepared. I help students improve their public speaking capabilities by focusing on audience analysis, speech preparation, speech delivery, and critique and help. I serve as a substitute teacher in the middle schools in Palm Beach County in the math classes. Richard is truly a beyond brilliant individual, with an innate talent for all things accounting. He simplifies the subject matter, and is patient/kind. I highly recommend him to everyone. Sought assistance with Financial Accounting. He was very helpful and obviously has great knowledge within the accounting realm. I feel better prepared. I will seek his assistance in the future. Thank you. Hope all is going well. Great help for my accounting exam! I had an exam on completing journal entries for stock issuance and bonds.Great tutor! Thank you. I hope you did well on your exam. I really appreciate his help with financial accounting. It's my 1st semester as an MBA student & Richard really takes the time to make sure I understand the material. Richard is very knowledgeable and professional. He focuses on the individual needs and personalities of his students, to help them learn best. Richard not only bought the book I was studying from but reviewed all of the problems we would be going over prior to meeting with me. He is a very thorough tutor and very nice. Richard was an amazing tutor for my MBA Financial Accounting course! Richard and I met at the Library and Skype for multiple homework and test prep sessions in which I felt very prepared for my upcoming test and quizzes. Hiring Richard as my tutor was the best investment I could have made for this course. Richard is kind, professional and a fantastic teacher! Richard is very knowledgeable in the subject matter requested for tutoring, does not waste time, quickly responds to messages, easy to work with and very patient. Thank you, Richard, for being available when I needed help. Richard was able to pinpoint exactly what I wanted to learn and was able to explain it clearly. Overall a very good experience. Very knowledgeable, patient and thorough. Richard tutored me for a master's level finance course and I could not be more pleased with the results. He is sincere, prepared and very easy to understand. He communicated complex ideas well and is extremely knowledgeable in all aspects of business and finance. I highly recommend him.